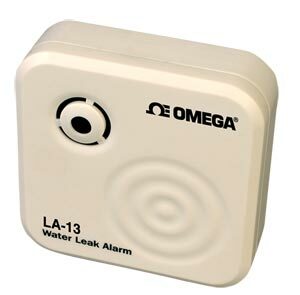 The LA-13 portable water leak alarm can prevent potential water damage by keeping it anywhere water is a potential danger. Each sensor can be placed in an upright or flat position near the base of potential water leaks. The LA-13 can be placed near plumbing, sinks, aquariums, sump pumps, refrigerators, dishwashers, toilets, water heaters, basements, washing machines and garages.